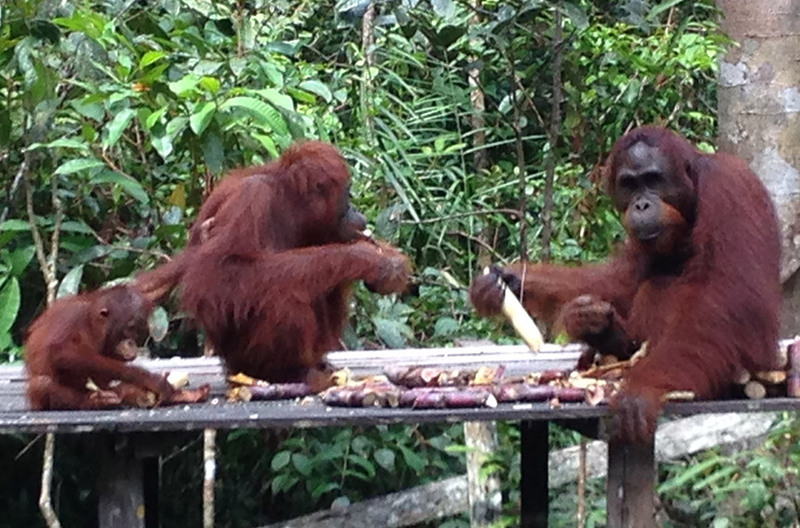 For years my wife Beate and I had wanted to see the orangutans of Borneo. With their habitat being destroyed due to rising levels of deforestation on the Island, we knew there might not be many opportunities to do so in the coming years. Beate had decided it was time to visit and so last May we made the long journey south. We were both awed and saddened by what we saw. We rented a lodge for a few days at Rimba Lodge in the Pangkalanbun and Tanjung-Putting National Park, a UNESCO Biosphere Reserve in Kalimantan, Borneo. For a few days, this was our base from which we would take a boat deeper into the island’s forests where the Orang-utans lived. The Orang-utan adults are generally solitary and the home range territory of one male overlap with the ranges of several adult females in his harem. Unlike the Gorillas, all adult females live on their own instead of a community and have one baby which they nurture for six years. The reserve in which they lived served as a place to reintroduce Orang-utans raised by humans back into the wild. Many of them were raised as orphans after the deaths of their mothers, who according to our guide were hunted down by the islands loggers to kill, knowing that the baby Orang-utans will not survive without them. The loggers on the island cleared huge tracks of forests to plant palm trees and it’s easy to see how devastating this has been on the Orang-utan population. They need space to live and they travel by moving from one tree to another, and usually avoid climbing down to the ground. But when they do, they move on ‘all fours’, placing their clenched fists on the ground. They make a comfortable nest of vegetation to sleep in at night, and rest in smaller nests during the day. It was painful to see how these unique creatures are threatened, so when we were offered the opportunity to help restore a part of their habitat, we leapt at it to support our host community. For a donation of $20 per tree, we were given the chance to plant a tree in a part of the forest they were attempting to restore and this also ensure that the sapling is watered until it can thrive. We even donated more so that our guide and the other members on the boat can join us in the tree planting. While it’s only a small gesture, every bit helps in restoring our world and we all need to get a little bit dirty now and then to do so. This is a trip we would strongly recommend to everyone who love the natural world and if you want to help protect these one of a kind ‘person of the forest’, make the trip and give ‘One Day Back or More’ to plant a few trees. According to the World Wildlife Fund Global, Orang-utan means ‘person of the forest’ in the Malay language. Orang-utans are the world’s largest tree-climbing mammals. But their forest habitat in Indonesia and Malaysia is rapidly disappearing, putting the future of Asia’s only great ape in peril. Orang-utans are known as gardeners of the forest. They play a vital role in seed dispersal and in maintaining the health of the forest ecosystem, which is important for people and a host of other animals, including tigers, Asian elephants and Sumatran rhinos. So by conserving the orangutan’s habitat, we’re also benefiting local communities and other species. Habitat loss is the biggest threat to Orang-utans. 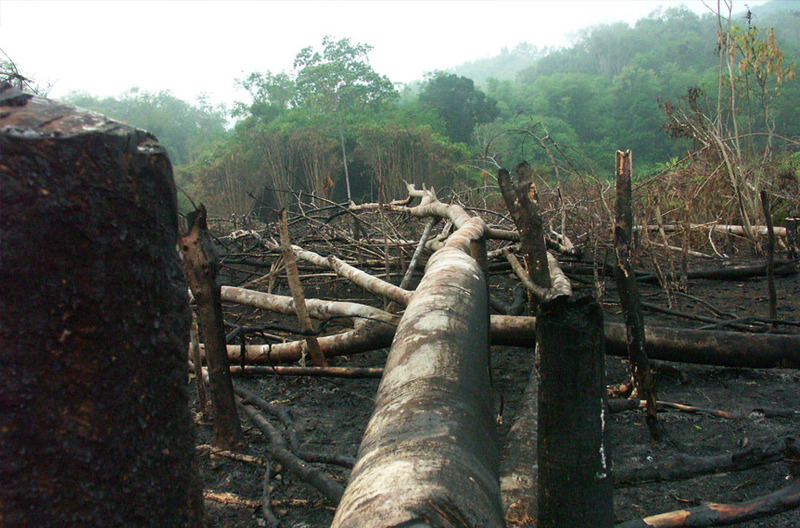 Huge tracts of forests have been cleared throughout their range and the land used for agriculture, particularly palm oil, a product found in more than half of packaged goods in supermarkets around the world. In addition, young Orang-utans up to the age of 7 years are sought after for the illegal pet trade and when infants are targeted, the mother is often killed. Orang-utans are also hunted in some areas for food. Fires are a major threat and an uncontrollable fire in Kalimantan in 1997- 1998 lasted for six months and killed up to 8,000 Orang-utans.